How to view and manage your projects. In the Tasks section, you can view and manage your active and archived projects. 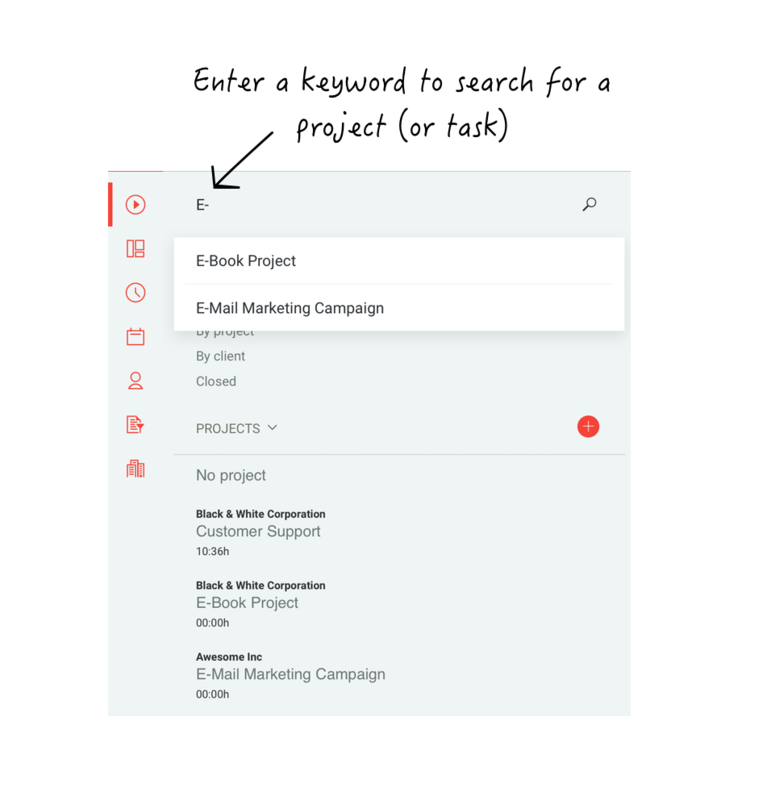 On the tasks navigation on your left-hand side, you’ll find a list with all active projects, which you currently have access to. Admins and project managers can access all account projects. Coworkers have only access to projects, which they have been previously assigned to by an admin or project manager. In case you have a lot of current projects going on you can use the search to filter your projects by the enter keyword. This will deliver results for both projects and tasks. To view a project's tasks and details just click on the project name you'd like to edit. To view your archived projects click on ‘Show archived projects’ at the bottom of the project list.